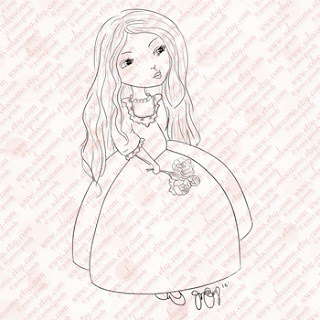 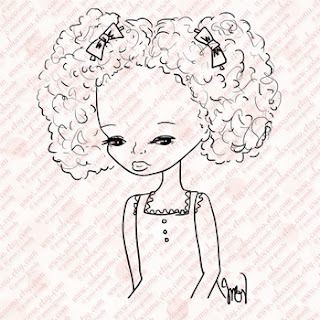 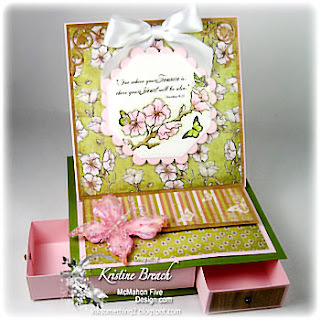 Bloggers Challenge-Sketch Challenge AND Help for Katie! 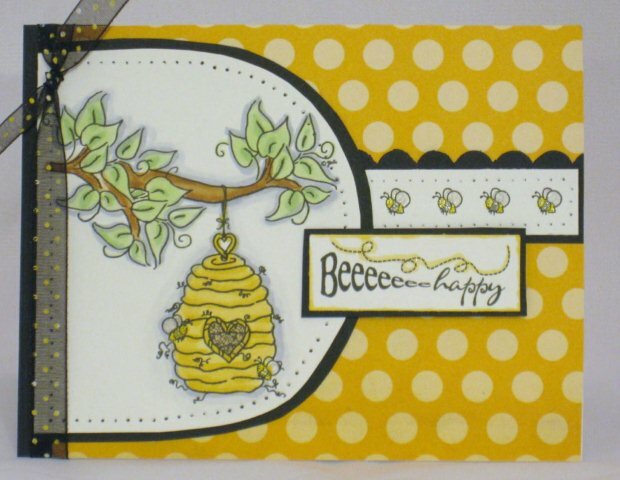 It looked a little challenging at first, but I printed out some images tonight for the NEW Help for Katie campaign and this bee hive image fit this sketch perfectly, don't you think? 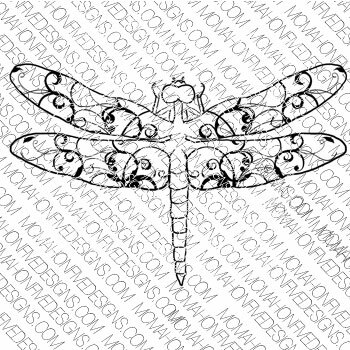 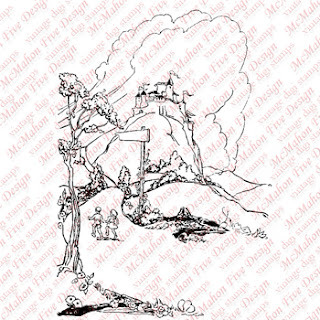 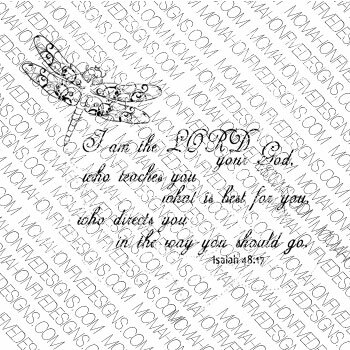 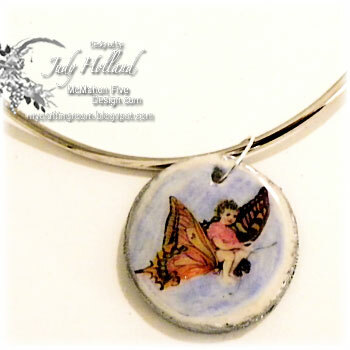 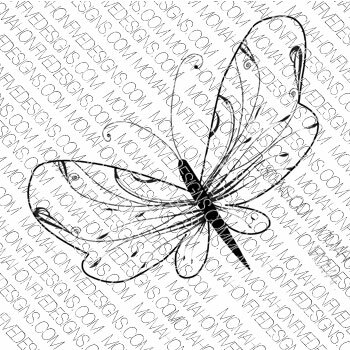 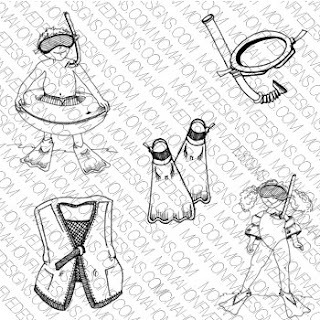 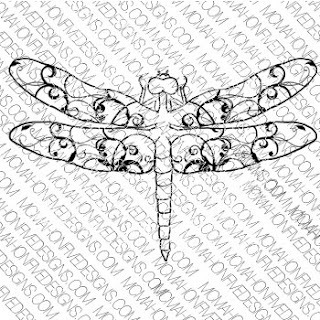 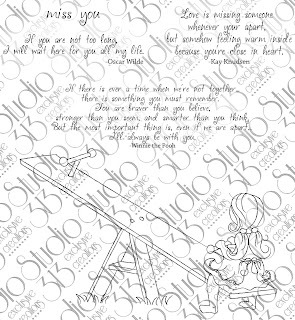 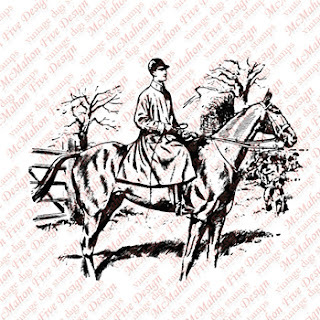 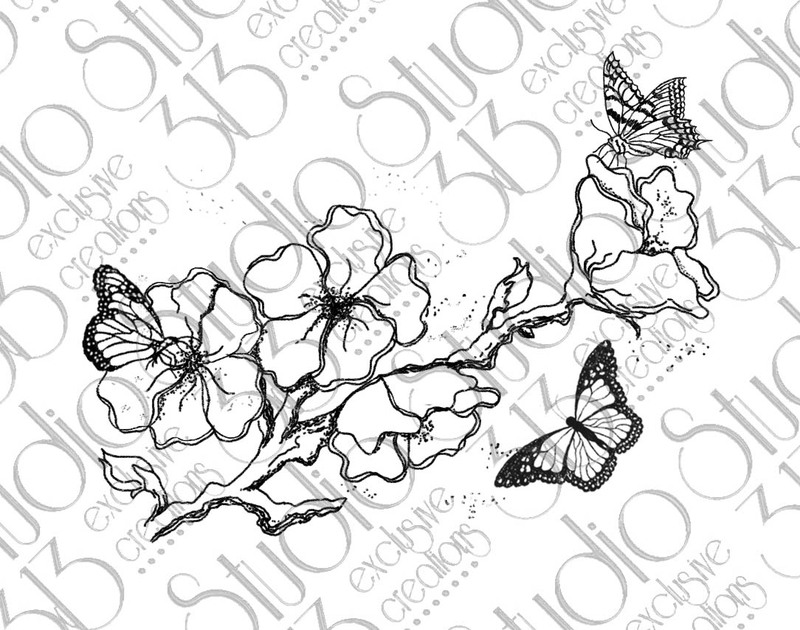 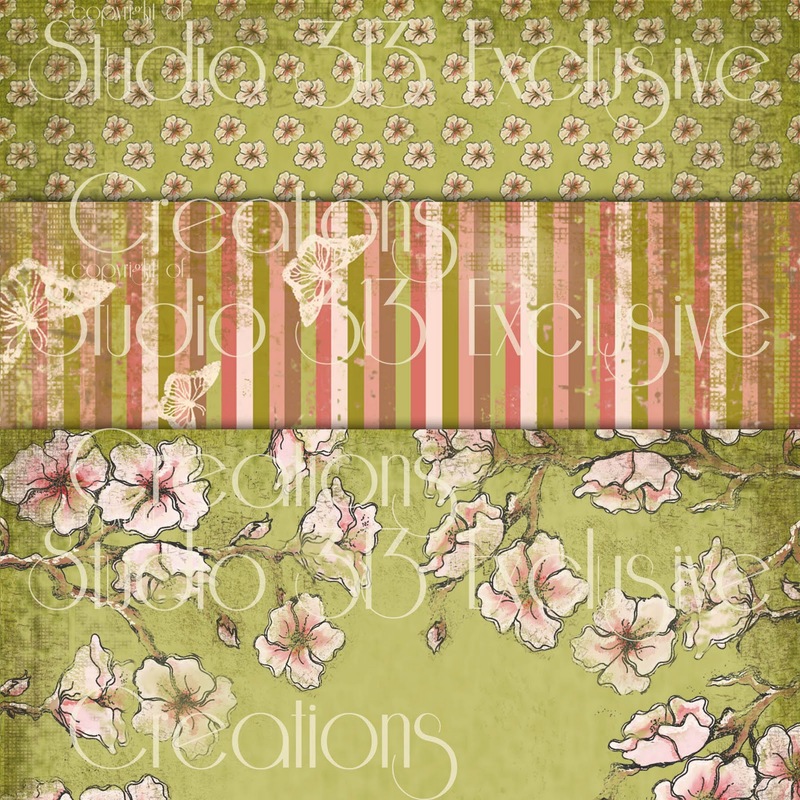 This image is part of a collection of digi's and tis particular one is by Designed2Delight. 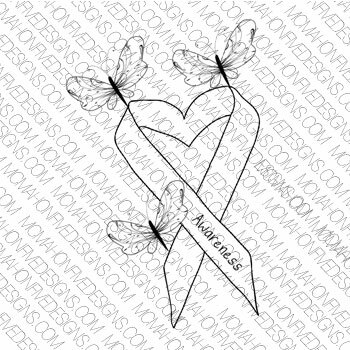 The link for Help for Katie is on my sidebar. The image is colored with Copics and highlighted with Copic Spica- so lots of shimmer on the bees. I colored the white dots on the ribbon yellow to match the designer paper. 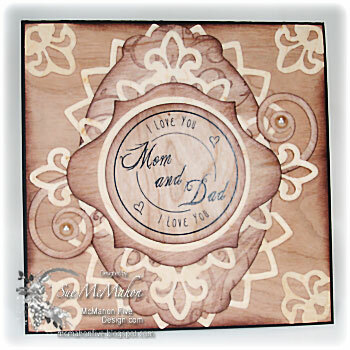 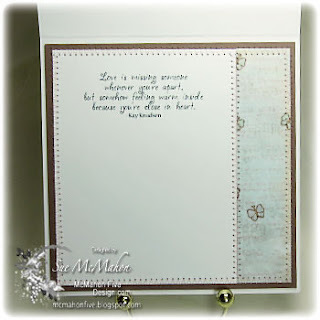 The sentiment is another from Create with TLC. 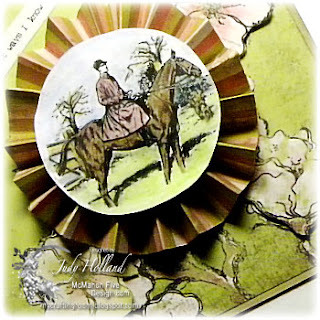 If you'd like to play along, please link back to this post on your blog, mention you created your card for the Bloggers Challenge Sketch Challenge, and link your card below using the Link Tool. 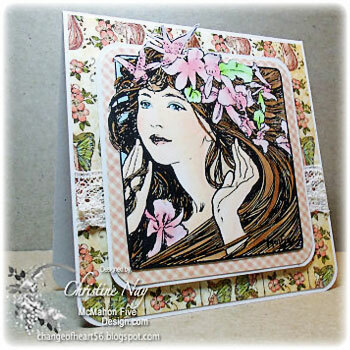 Just a note on the link tool, your link should be a direct link to your Sketch Post, please do not link to cards that were created prior to the challenge. 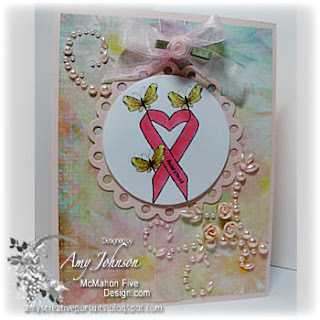 For more inspiration, the Bloggers Challenge Players will be linking in below, be sure to stop by and visit them. 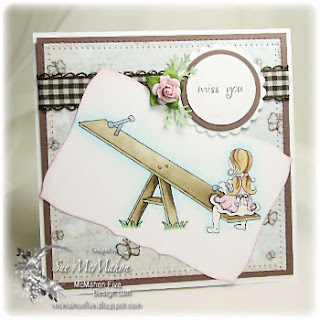 If you'd like to play along, please link in with a direct link to your blog post, using the Link Tools feature below. 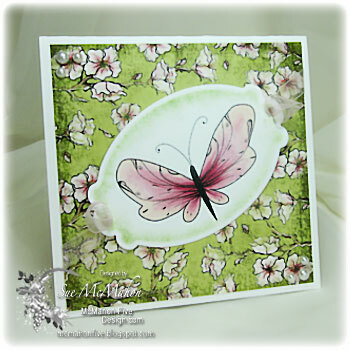 Wishful thinking- Come on Spring......! 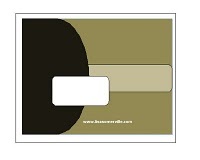 I colored the image with Copic Markers. 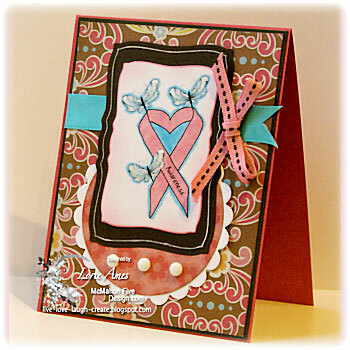 I put the card together using Paper take Weekly's Sketch challenge. I added some brads to the tree and made it a nice fruitful apple tree! 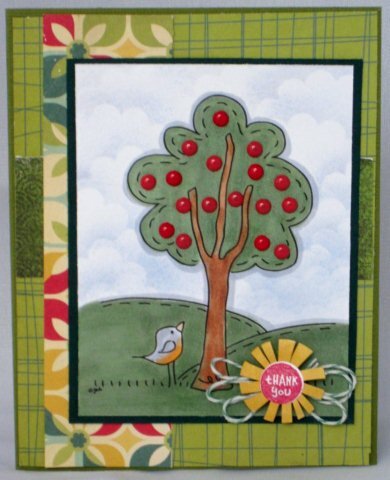 Southern Girls has challenged us to use Brads- how do you like the apples on my tree? 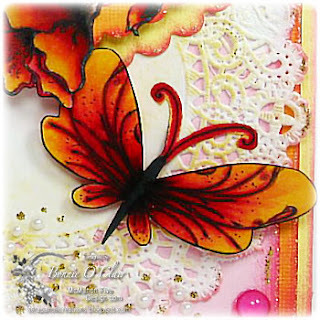 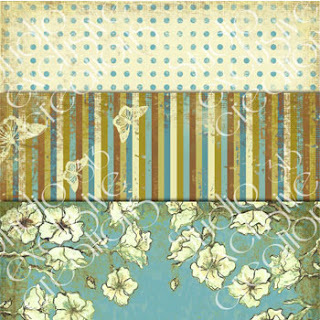 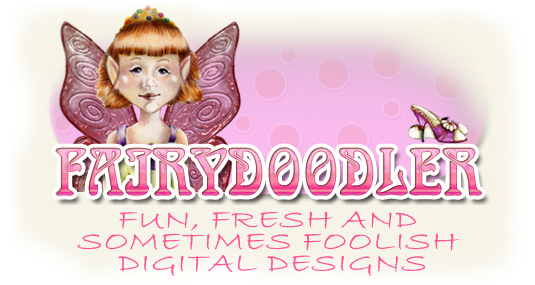 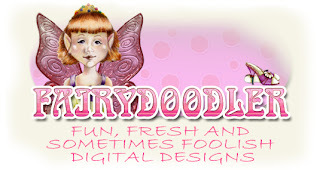 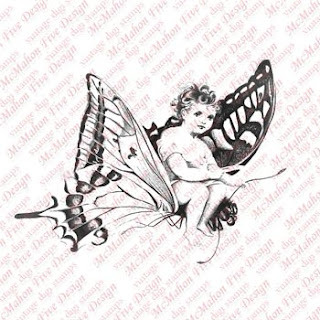 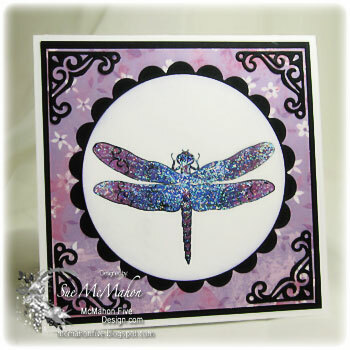 Over at Fab 'n Funky, there is a recipe- 1 digi, 2 embellishments and 3 designer papers. We had a little dusting of snow after a tease by Mother Nature- a couple of days in the 60's......We are looking at 30's all week and it is raining here tonight. So...I am thinking WARM thoughts and this cute new set from McMahon Five Designs is just the ticket! 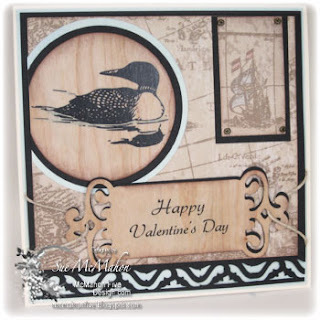 I dusted off my brayer and attempted a little Zindorfian styled card. 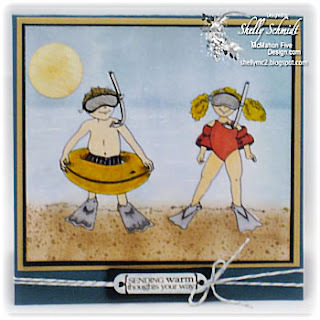 I colored the Scuba Fun image(s) with SU markers, then finished the skin with Copics (Hey- I am from Illinois- and very pale in Feb.!)..... The sentiment is from Create with TLC. 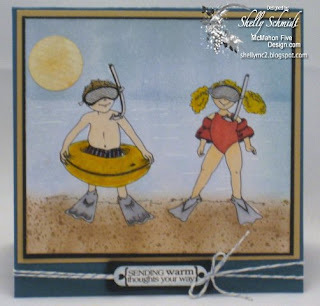 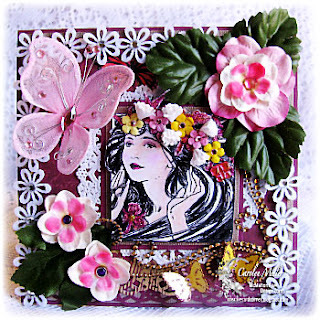 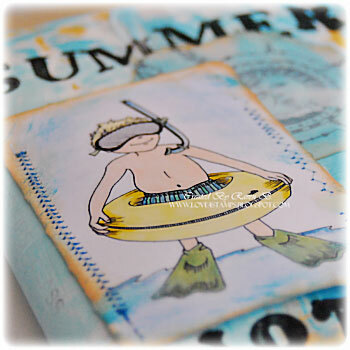 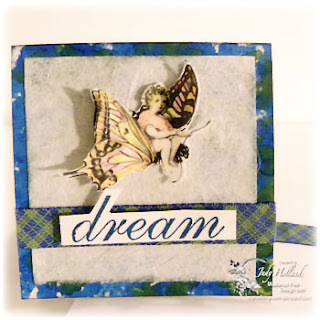 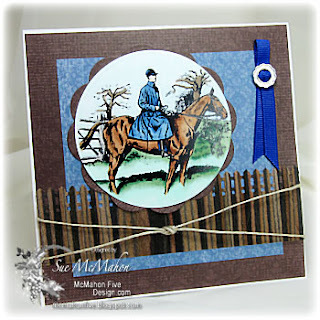 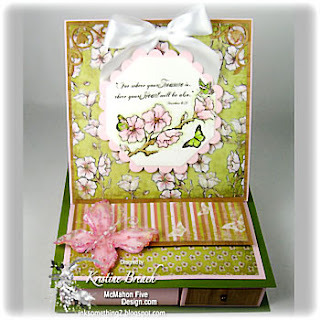 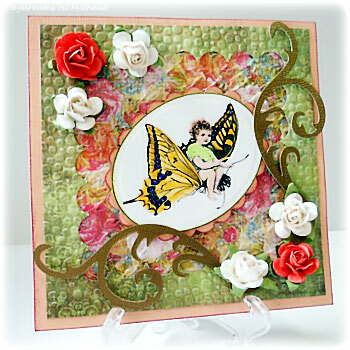 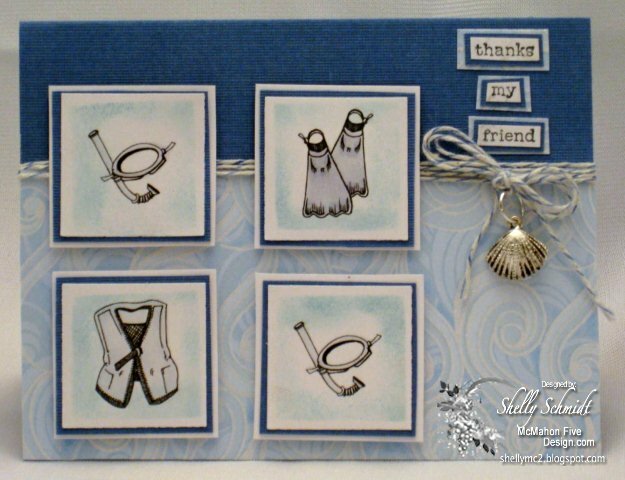 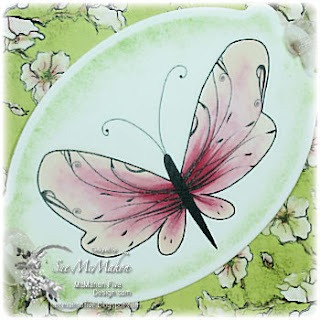 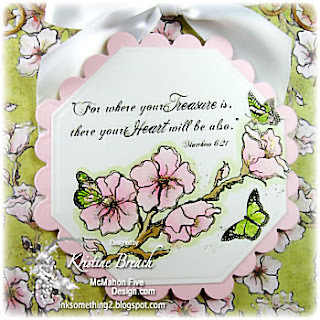 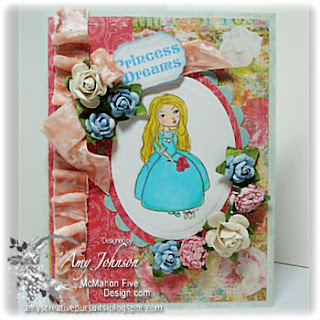 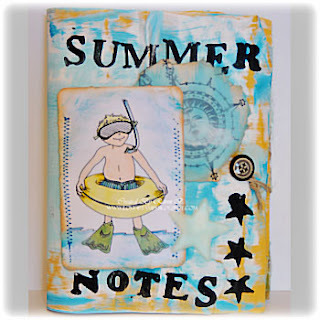 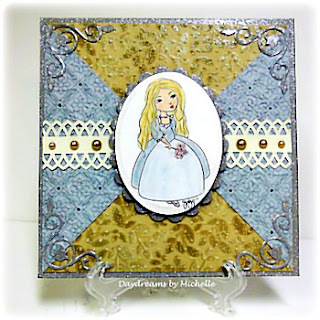 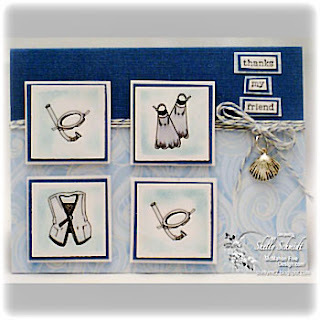 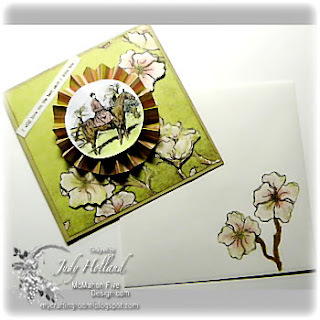 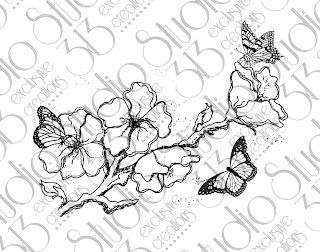 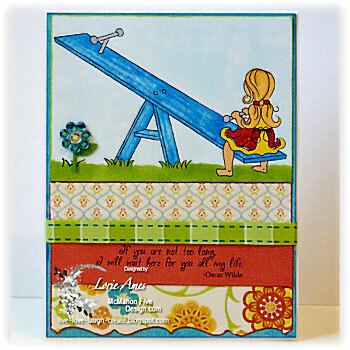 Next I used the Sketch challenge for this week at Splitcoaststampers and created a card with the smaller images. 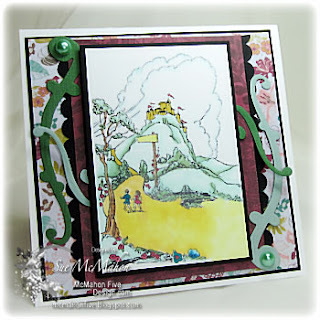 This card is on its way to a friend that lives in a warmer climate, and was saying they just had to turn on their AC.......that's terrible, isn't it? 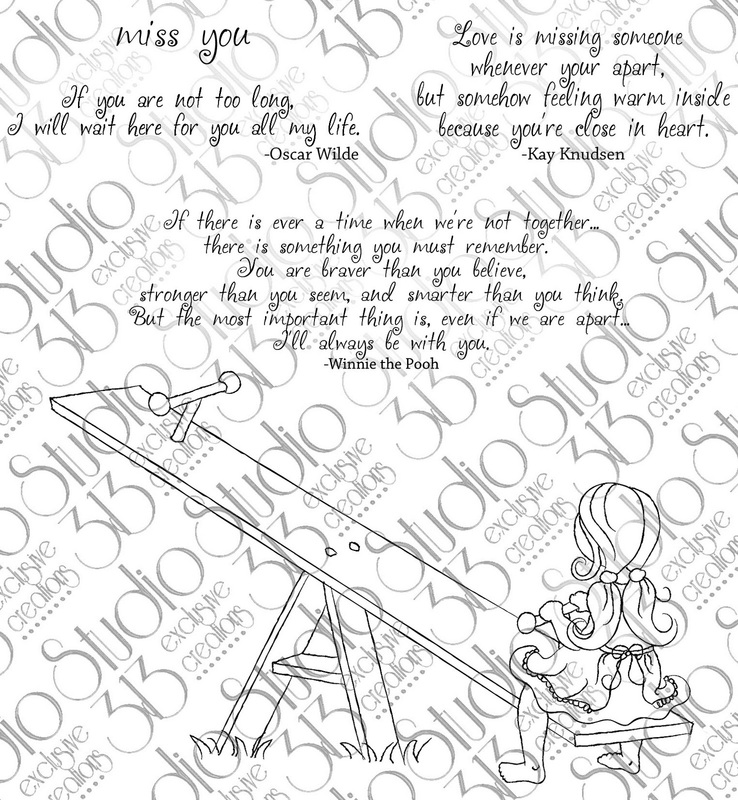 I wish I could bottle up some of our 30 degree air to send to her! 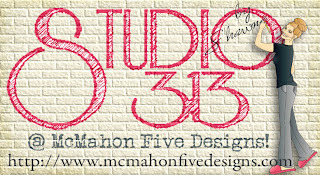 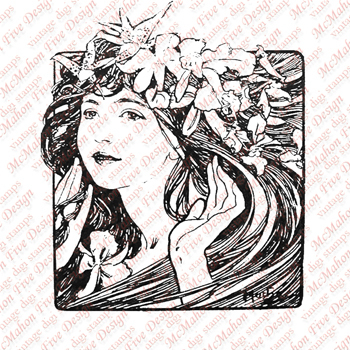 Thursdays are new release days at McMahon Five Designs- I hope you will enjoy the inspiration provided by the team! 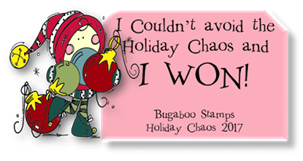 This is for all of my Bloggers Challenge acquaintances.....! 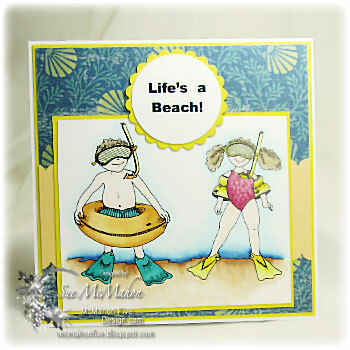 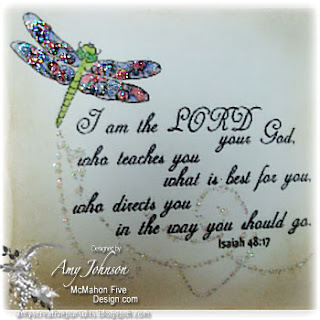 I found this fabulous image and sentiment at Create with TLC digi's and had to have them! 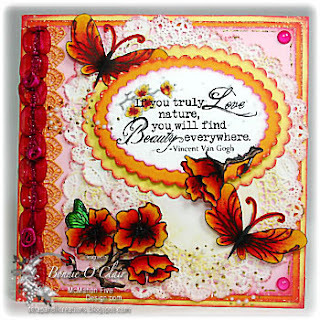 I made the background with a Technique Junkies technique called Texture Plate Smoosh using Mustard, Pumpkin and Ruby Red inks. 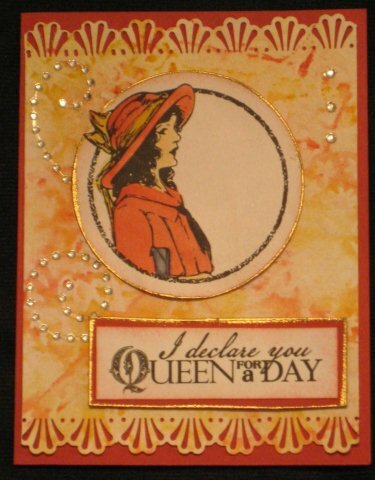 I only have one more sheet of Ruby Red cardstock.....: ( which is sad- I love Ruby Red! I also did the 'Out of the box' technique with her hat. 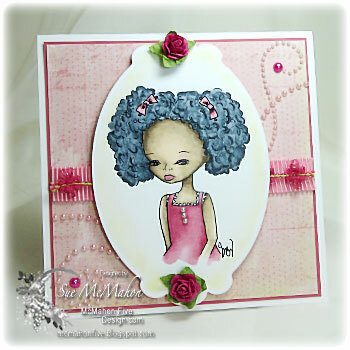 I water colored the image and added a touch of Copic highlights for the skin and handbag. 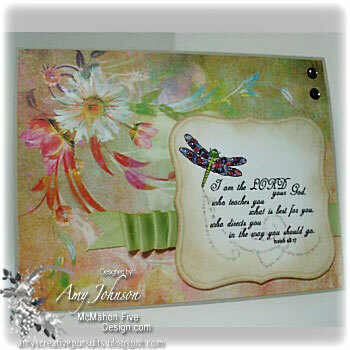 I dragged the edge of the image and the sentiment in the Versamark pad, and then gold embossing powder. So your majesty, what are you going to do today??? 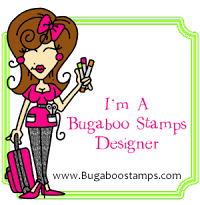 I am at work! 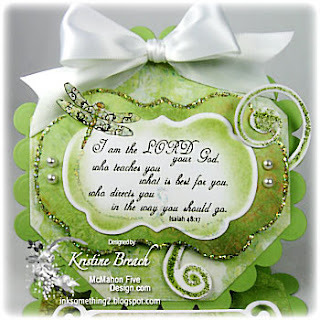 Challenges are listed at the bottom of this post. 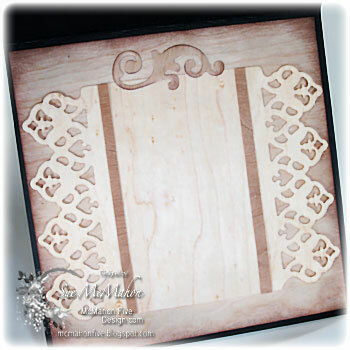 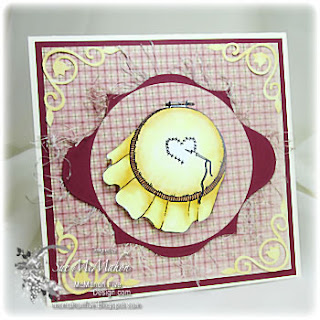 If you'd like to play along, please link back to this post on your blog, mention you created your card for the Bloggers Challenge Embossing Challenge, and link your card below using the Link Tool. Just a note on the link tool, your link should be a direct link to your Embossing Post, please do not link to cards that were created prior to the challenge. 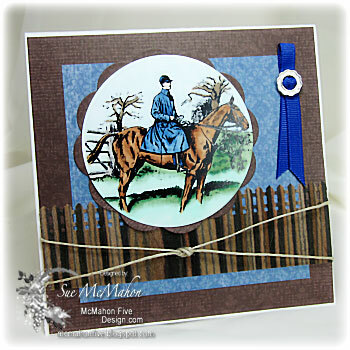 It's another great release day at McMahon Five Designs today! 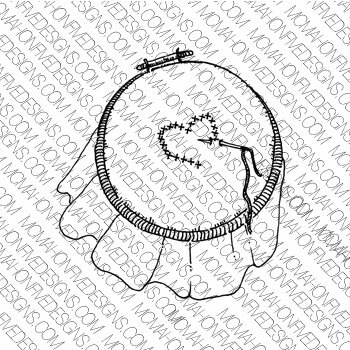 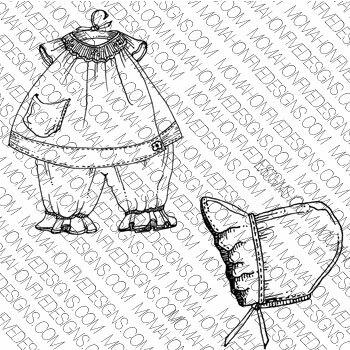 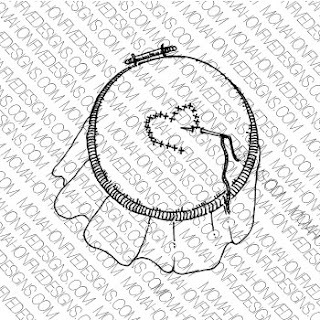 I am thrilled because I requested sewing and smocking images- well, last week we had sewing images- this week we have smocking!!! 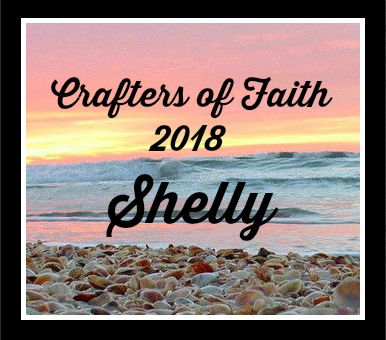 Here is the remainder of the McMahon Five new releases for this week- NOTE- there is a new Breast Cancer Freebie available- and it is available in English AND Spanish. A CAS card- and Tulip embossing- any size!